Charlie House is a children's charity that supports babies, children and young people with complex disabilities and life-limiting conditions in North East Scotland. 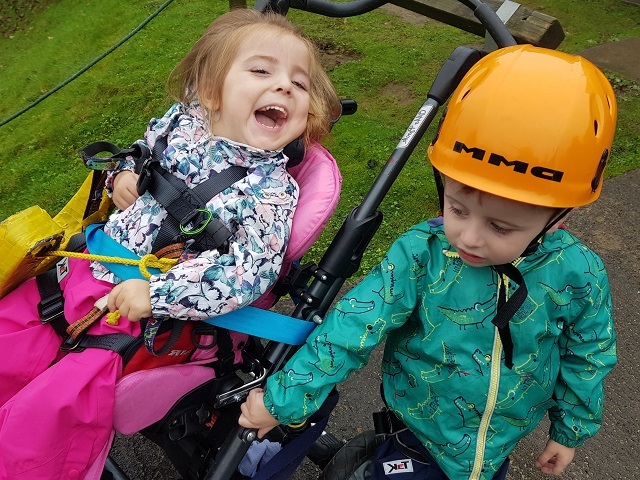 In October 2017, Charlie House came with several families to experience Calvert Trust Kielder and give their families a holiday like no other. 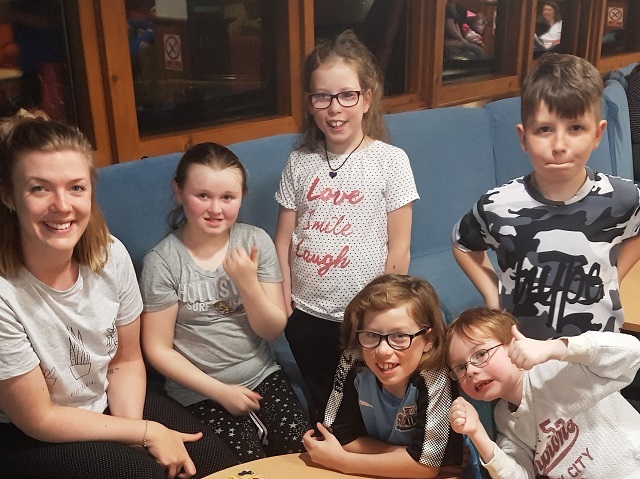 Below, Elin from Charlie House gives us an insight into her first week spent with their families at Calvert Trust Kielder. It has now been a week since I arrived at Calvert Trust Kielder and so far I’ve seen 16 families settle into their chalets, participate in fun and exciting family-friendly activities, catch up with old friends and even make some new ones. Each year, the Charlie House Activity Break to Calvert Trust Kielder gives up to 27 families the chance to experience a 4 or 5-night short break over the October holidays. So far our families have been sailing, laser clay shooting, canoeing, indoor wall climbing, motorboating, archery and conquered their fears on the king swing and zip wire. In addition to these activities, there is also a hydrotherapy pool and a sensory room that the families can book for hourly sessions completely free of charge. When the families aren’t participating in activities, they’re usually spending some well-deserved family time in their chalets or jumping in the car to visit some local sights or even have a day out in Newcastle. During every evening so far, a good few families and I have been spending time in the lounge area of the main building for some evening get-togethers. By coming along and socialising, families have a chance for a proper catch up with old friends while I can help introduce new families to the group. It’s also a great way for children to make new friends and with a big cupboard full of games - giggles and friendly competition is never far away. Calvert Trust Kielder truly is an amazing place and I can’t wait to see what treats we’re in for this upcoming week. Fingers crossed for many more fantastic activities, a couple of more dry days and last but not least – plenty of new friendships being made. We are so pleased that Elin and the families from Charlie House have had a great time and look forward to hearing more about their adventures.